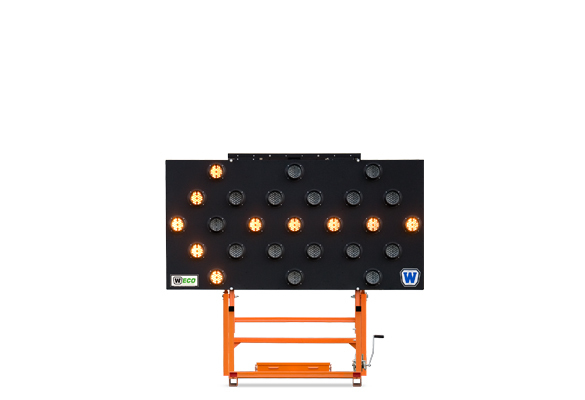 A single support holds the display panel during use and during transport. 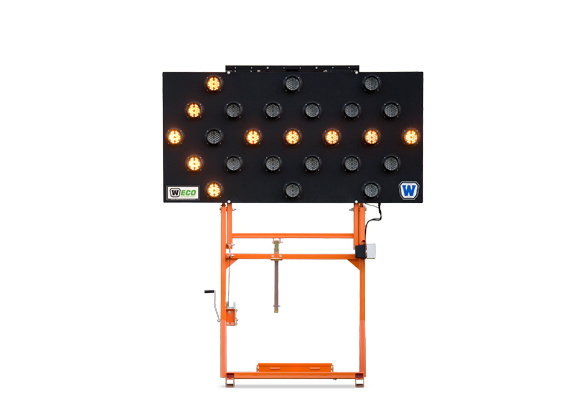 This unique design eliminates abrasion, extending the arrow board’s useful lifespan. 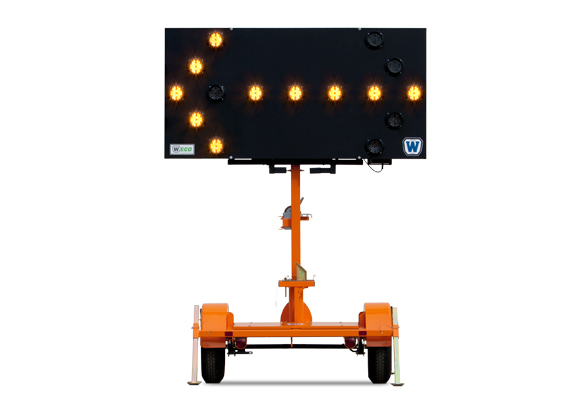 Its vertical display panel rises on a mast that can be rotated freely to face traffic without moving the trailer. The arrow board is compact during transport. 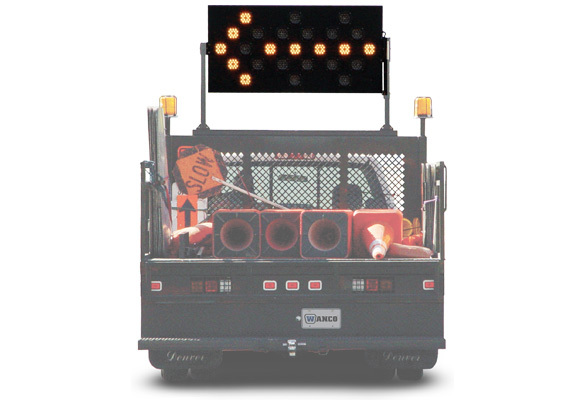 Perfect for convoys, crash-cushion (TMA) trucks and emergency repair crews. 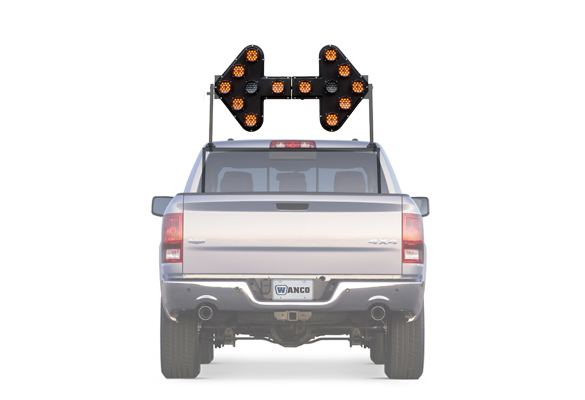 Four sizes of arrow boards and the largest selection of mounting options. Featuring the same ease of use as our full-size arrow boards, these rugged, compact signs have a smaller profile and less wind resistance. Five display patterns. Suitable for TMA trucks and trailers, install these fixed-position skids on a truck bed or any rigid footing. Tethered controller can go inside the truck cab. Like our folding-frame trailers, a single support secures the display panel when deployed and during transport. The panel pivots down to horizontal when not in use. 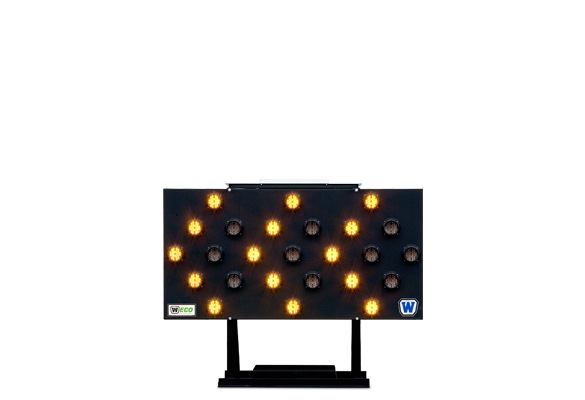 The low-profile design is perfect for TMA trucks and trailers. The display panel pivots up to vertical and down to horizontal. Low height when stowed for travel. 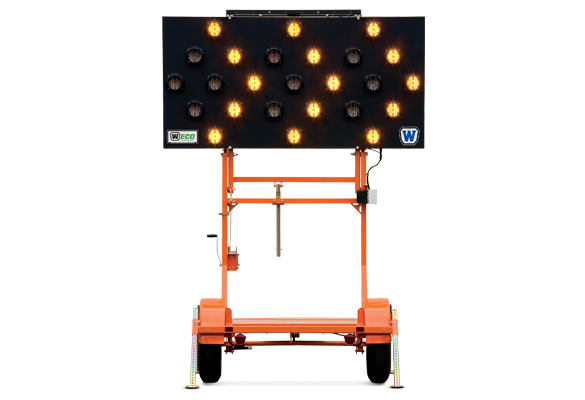 Designed for use in Ontario, Canada, these arrow board trailers have reflective sheeting and flapper panels for failsafe operation. MTO approved.